One of the most common methods of applying decorative coatings on the outer walls and inner walls is painting. To paint the walls directly on their surface, and pre-applied plaster. Technology features painting walls depend primarily on the material from which made the wall. Before you paint the exterior walls of the building, please rate the quality of their coverage. Quite often the new colored plaster has an attractive appearance even without staining, so you may decide to wait with the painting until, while plaster will not lose its original appearance. The advantage of the plastered surface that is highly resistant to weathering and atmospheric precipitation. If you decided to paint the walls before you begin to paint, prepare a plastered surface. Seal the cracks if necessary. Defective places podmate putty. Perform a smoothing of the walls, using a special brush for grout plaster. Make sure that the plaster is firmly connected with the wall and can't flake off. In the preparation of walls for plaster adhesive plaster, apply wooden or rubber spatula, for oil and varnish putty, use a metal spatula. A liquid composition apply swing a brush, smoothing out the putty in opposite directions. After solidification of the filler Polish the wall with sandpaper. 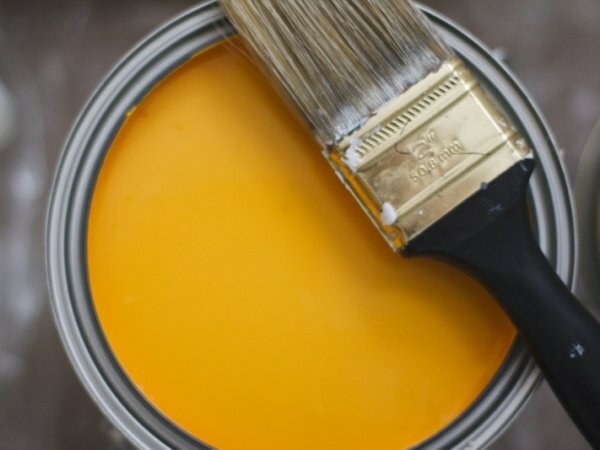 Before painting plaster glue paints be sure to treat the surface of the water primer. Remember that the quality of surface preparation will depend largely on the longevity of the applied paint. Heed to the choice of colors. Fresh plaster can have an excess of alkali, so use a paint-based solvent is not recommended. 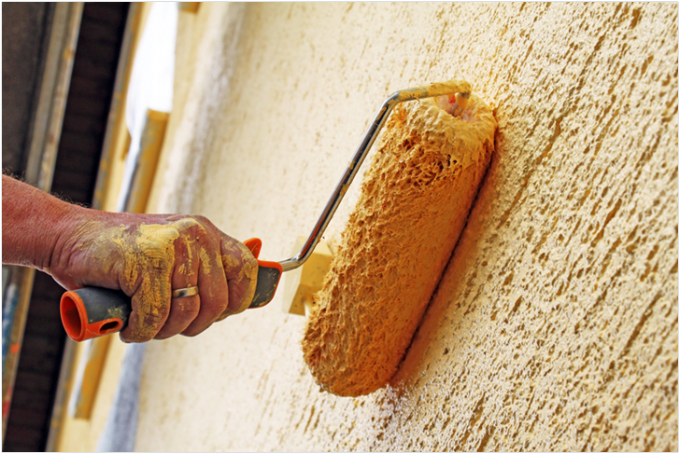 Using organic soluble dyes, keep in mind that fresh plaster should first be completely dry, after which it should protect the synthetic primer. Staining of plaster make a wide swing a brush, carefully and without any gaps processing the entire wall surface. After drying of the first coat of paint is apply a second coat. If the paint in the process thickens, use it for mixing drill with a special nozzle of bent wire. Painted walls will look; if necessary, correct any defects (stains, gaps, etc.). Quality plastering composition allows to align any surface for further finishing. Very often, the owners in order to further processing of the plaster layer use paint. Paint composition applied to such basis is relatively simple. But you still have to take into account some important requirements. You need to understand how is the painting of the plaster to get a chance to get a great result was higher. In the preparatory phase of the premises, which work shall all obstructing furniture and other items. On the floor you need to cover with plastic or Newspapers. You can now start preparing the working surface for the paint. With the plaster layer to start, you remove all contamination. Clean the work surface using a damp cloth or brush. If the plaster is layering or irregularities, it is further rubbed with emery cloth. You should also take care of more serious adhesion of paint. For this purpose, the surface of the aligned plaster, processed soil. It remains to wait for drying of the damage and get to work. This process is not associated with any difficulties, because the plaster layer after quality processing always remains smooth. The paint is applied by roller or wide brush. Usually requires two coats because the plaster even after the treatment, the soil absorbs the paint very intensively. When the paint dries, inspect the surface to identify all defects. Stains and deposits are removed with sandpaper. In principle, this work ends. But you can get a more spectacular finish. Instead of the above method, you can use another. For example, for paint equipped with a rubber sponge. It allows you to make the finish more interesting. Another good option – processing of the applied layer of paint textured roller. This tool will allow you to give a bold relief, although the owner will not need much effort for this. Staining of the plaster layer is one of the easiest methods of finishing. If you follow at least the most basic recommendations, you will be able to make the interior truly spectacular.